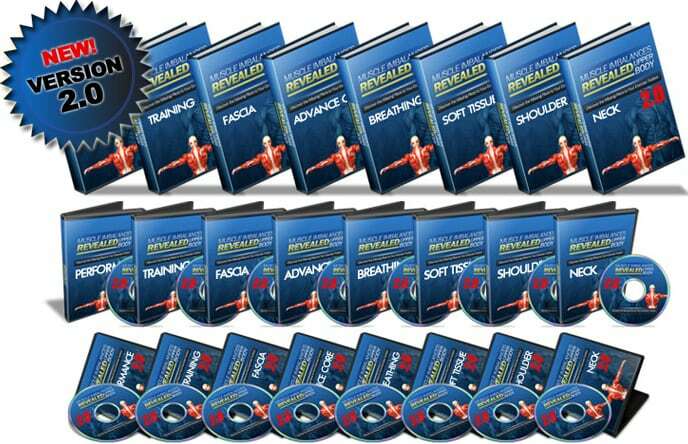 My inbox has been flooded with questions about Muscle Imbalances Revealed – Upper Body 2.0 Edition – (MIRU2) all week. I have answered all of them but I wanted to make sure that I have answered yours. 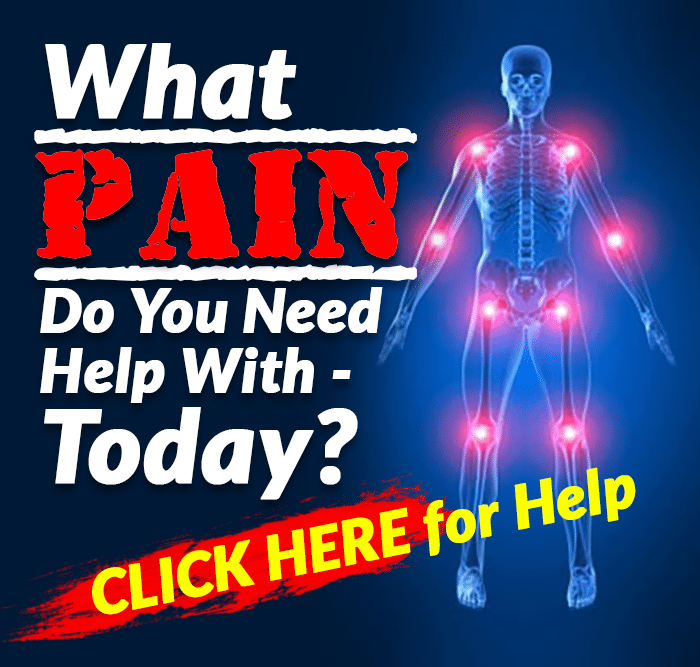 If you have a questions about Muscle Imbalances Revealed, please do ask it below. You can ask it in the comment area or send it to me via email ([email protected]) . Q – What is new with MIRU2? I have not done a good job explaining this. This is what we have added to MIR for the 2.0 version. 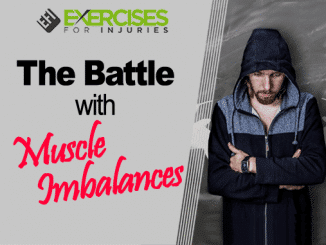 In this update, Kevin Yates from MIRL, takes you through a variety of mobility exercises that you can do with a medicine ball. These exercises help loosen up the upper body, activate the scapular and rotator cuff muscles, improve thoracic mobility and focus on integrating the upper and lower body. This is going to be great if you are looking for new med ball exercises ideas and looking for a workout with the med ball that will help with the upper body. This is an awesome dynamic warm up for the upper body. Josh Saunders takes you through a 4-minute upper body dynamic warm up that he takes his 100 bootcamp clients through on a weekly basis. He has found this has been something easy to add to his classes, has decreased the injuries his campers have had, is quick and is fun to do. This is going to be great for any bootcamp instructor or if you are looking for a quick dynamic warm up for the upper body. You receive a video of the exercises and a book with all the exercises in it. 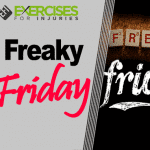 This is a video for manual therapists looking for ways of releasing the upper body muscles. Dr. Erson Religioso III takes you through a number of the manual therapy techniques he uses with his clients to help release muscles that are tight and active in the upper body. This is going to be great for manual therapists that are looking for more techniques to release the upper body, especially pec minor. This is one of the calls we did with MIRU members where we answered their questions about MIRU but also on a whole lot more of topics. On the call we talked about when and when not to use a weightlifting belt, ideas on what to do about kyphotic (rounded mid-back) and lordotic (increased curve in lower back) spine while driving, when tension is needed and not needed when doing exercise, fatigue and the rotator cuff, how to address strength differences on different sides of the body, when to do and not to do soft tissue work, expanding on assessments for athlete, lifts to address hip dominance and where does breathing factor in when teaching lifts. This is the second coaching call we did with MIRU members. Once again with this call we expanded on what we went through with MIRU plus a bunch of other stuff. 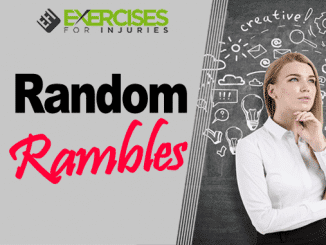 Specifically looking at what we chatted about is what to do with a meatheads that don’t want to do the corrective exercises, what to do with tempo and training, how to integrate core training into your workout, different exercises to hammer the core, training considerations for femoroacetabular impingement (FAI), improving performance with ankle exercises, things to do about a sprained wrist and what to do about piriformis pain syndrome. I asked Dean Somerset, “What are his Top 7 Core Exercises?” He sent me these 7 exercises. I take you through the exercises. Dean gives you bodyweight, stability ball, medicine ball, dumbbells and cable exercises to improve core fitness. I asked Tony Gentilcore, “What are the Top 9 Exercises for Meatheads That Want to Lift More?” So Tony sent them to me and I go through them for you. Tony highlights exercises with the ball, sock, dowel, wall, resistive band, half foam roller, rack and pulley to help meatheads lift more. As you can see, from above. The coaching calls have been a huge hit and we will do one more of them very soon. Make sure to write down your questions ad you go through MIRU and send them to us so we can go through them on the call. If you can make the call, you can ask us live but if you can’t we will record it and send it to you. We have set up an area that you can ask your questions. You can put your questions here and we will answer them. Those are the 9 things we have added. Q – What Order Should I Watch MIRU2? This order has things start from the head and work down to the core. Q – What Are People Saying About MIRU2? I am embarrassed by this but the feedback for MIRU2 is really starting to roll in. It provided an excellent balance of technical and practical information for me. I have always been a fitness enthusiast but am thinking about getting re-certified and doing some personal training and it was a great refresher and more! I am a Head Athletic Trainer at Pro soccer team in Japan. Your MIRU is helping my athletes to get better. Q – Who is MIRU2 for? It will help health & fitness professionals (personal trainers, bootcamp instructors, strength coaches, kinesiologists, physical therapists, etc) by giving you new information, assessments and exercises to help with performance, training and rehab. 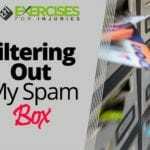 It will help the exercise enthusiast that likes to learn more about what they can do to improve their performance, looking for different training ideas and how to prevent or help recover from an injury. Q – Briefly Explain what is MIRU2? It is a program that helps you better understand what to do to improve performance, fitness and rehabilitation results in the upper body. You get the insight from Tony Gentilcore, Dr. Jeff Cubos, Dean Somerset and Rick Kaselj on assessment, training technique and exercises for the upper body. It covers a broad spectrum of topics. It covers training errors, common lifting mistakes, core training, modalities to help recovery, exercises for neck and shoulder injuries. It also covers two topics that are important but are rarely talked about which is breathing & movement and fascia & exercise. 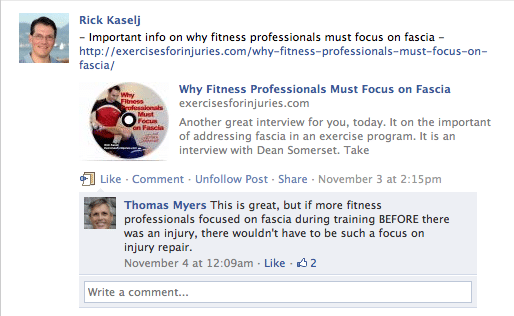 A little while back, Thomas Myers commented on my Facebook page on the importance of fascia and exercise. Q – How does MIRU2 Work? When you order MIRU2, you will get access to a private membership area where you will see the 8 video presentations. You can view the presentations right off the internet or download then to your computer. There are handouts and copies of the presentation that you can download and print out to take notes on. You will have unlimited and lifetime access to the membership area and any updates to the program you will get for free. Even with the MIRU being out for only a few months, we have already added a bunch of new stuff. Q – What makes MIRU2 so special? It is like having a conference on your computer minus all the travel time and expense. You get the insight of 4 experts in the area from a wide variety of professions. We cover a board range of topics that will help improve performance, training and rehab results in the upper body. You can learn at your own pace and when it is convenient for you. Plus you can easily earn valuable CECs and CEUs. 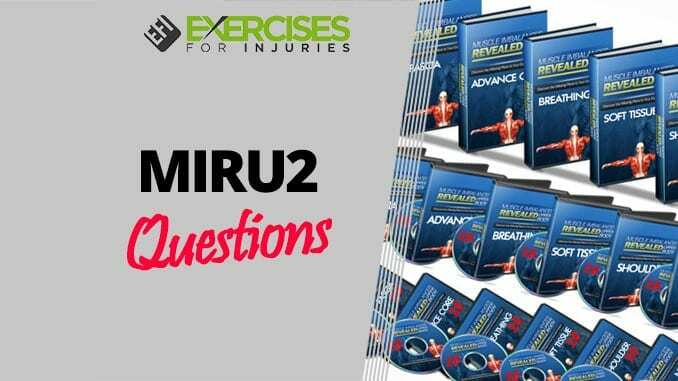 Q – Can I Earn CECs or CEUs with MIRU2? Even if you association is not listed, it is easy enough to petition to your association for CEC or CEUs. I can help you out with that. Q – How can I get CEU credits for purchasing MIRU? In the membership area you will find the CEC Exam. Download that and print it out. As you go through the video presentations, answer the multiple choice questions. After you have answered all of the questions, send me the answer key. I will mark it and send you your certificate of completion which is what you need for your CECs and CEUs. Q – What if it Does Not Help Me or If I Don’t Like it? Email me at [email protected] It would be nice if you let me know why you would like a refund so I can work on improving the product in the future but other than that one question, I will give your money back, no worries. Q – I have bought MIRU but I can’t access the membership area as my email has changed. 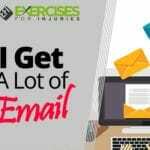 Just email me at [email protected] and I will switch things over to your new email address. No worries. Q – Do You Have a Question?